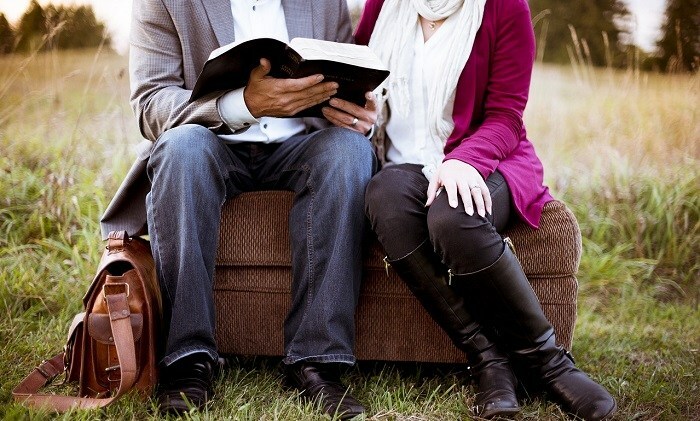 God can make a difference in your marriage. I know this from firsthand experience. My wife Karen and I both come from dysfunctional family backgrounds, so even before we were married we made a commitment to God and each other that we would work hard to not repeat the mistakes of previous generations of our families of origin. My default button drifts toward selfishness when I am under pressure so I need the occasional reminder that I am also not perfect but God still loves me anyway. I am talking here about honesty with your wife about where you are ‘at’. There have been times in my marriage where I have thought it best to not share with Karen what I might be struggling with at any given moment. It’s not that I have sought to be deceptive or tried to hide things from her, I just did not want to cause her unnecessary worry or concern. Secondly, Karen can read me like a book so there is no point in me trying to simply ‘soldier on’. The word underlines the very essence of what a relationship is all about — to my wife for the person she truly is, to see her more deeply than others see her and to see what no one else sees: the beautiful person God created her to be. And the result is oneness — a true unity of body, mind, heart and soul.